Styled with boost spin pant . 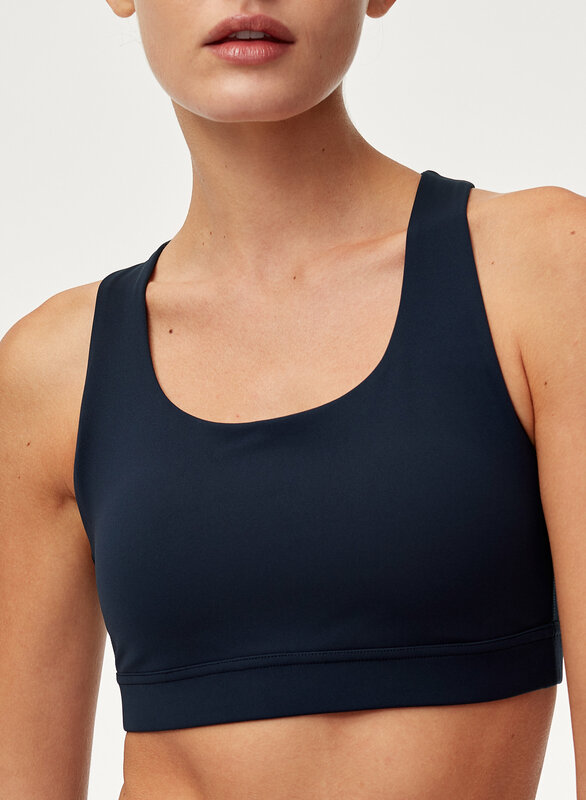 Highly compressive, four-way stretch fabric gives the Verve Strappy Bra the support you want, while smooth-feeling, sweat-wicking fabric keep you comfortable when your workout heats up. 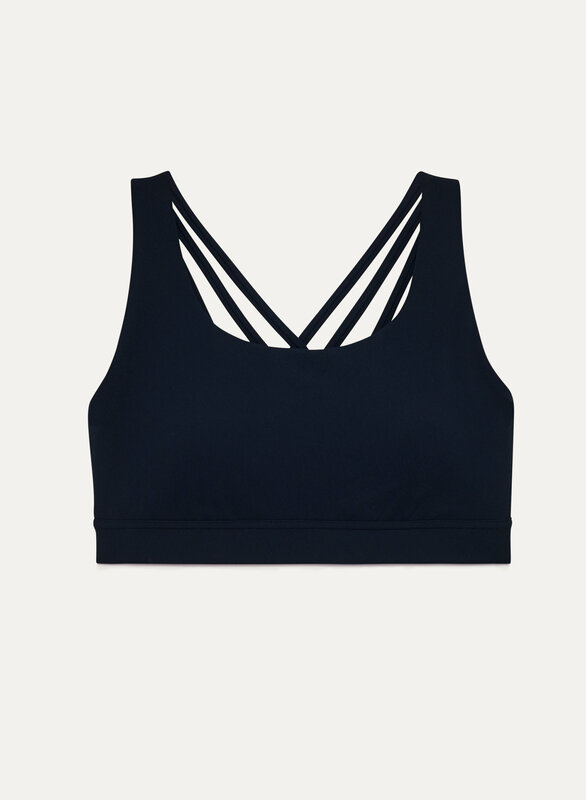 Mesh-panel details and delicate straps are functional and pretty.